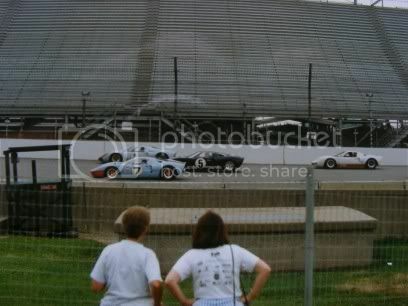 So I've just stepped out of the museum in the infield at Indianapolis and there just happens to be 4 GT40s lapping the track. Yes they are all genuine and the one on the outside is the ex Ken Miles Le Mans car. Some days you just get lucky. 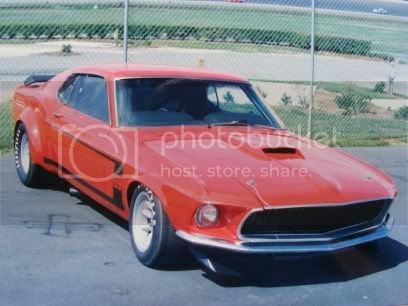 To everyone else at Charlotte on this day this was just another Boss 302 sitting by itself in the pits, but I knew its history. This is Alan Moffat's car before the restoration. Very nice Dragferret. Thank goodness the Mustang was restored to the pre ugly flares. Almost looks like a road car with attitude in that shot. Were you allowed up close to the GT40s? Last edited by malscar; 27-12-2008, 12:20 PM. One for the firies. A top bunch of blokes. Actually playing around with a 500mm mirror lense.